Most Churches have a degree of illness in them. It’s to be expected…Church is comprised of flawed people. Now, we really can’t talk about Church health without utilizing the Bible. 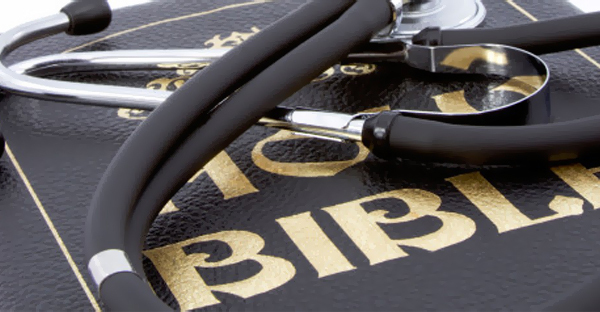 I know we ‘say’ that, but do we regularly compare our Church health to Biblical principles? Let’s take a look at what I believe to be 5 key issues that make up the foundation of a healthy Church. 1) People Before Task Lists – Jesus instructed us to love our neighbors as ourselves (Matt. 22:39), not to put our ‘To-Do’ lists before people. Life gets busy for all of us. Tasks and errands affect everyone. If we are not careful, however, we will get all of our boxes checked off but miss the hungry soul that crosses our path and not even know it. This is what I normally refer to as Spirit Awareness. I am constantly finding myself praying daily for the Holy Spirit to grab my attention when I am about to have an opportunity to plant a seed for the Kingdom. If I do not ask for this I am typically not going to look for it. 2) Scripture Before Comfort – This one is so uncomfortable, yet singlehandedly kills Churches. When a fellow believer needs to have an unhealthy aspect of their life addressed, Ephesians 4:15 encourages the Church family to speak the truth in love, not ignore it in hopes that the issue will magically disappear (because it never does). And if there is an offense or sin between believers, Matthew 18:15-17 clearly tells us how to go to the individual and take care of it. Note, texting or sending them a direct message on Facebook does not count. Trust me, even if Jesus had an iphone in his day I am pretty sure he would say what he had to say to your face and not drop subtle hints on your Instagram account. 3) Lord Before Pastor – I realize this one might be a bit sensitive for some folks, but it is right there in the Ten Commandments (Exod. 20:3). We are to have no other gods before Him. Did you know that the use of ‘gods’ here could translate “person of greatness or power?” Lead Pastors are in this category. This does not make them bad people, but Churches often place their Pastor on a pedestal so high (unintentionally) that they become the focal point of who is leading the Church instead of God. Here is a tough question. If your Pastor left your Church (circumstances aside) would it continue making an impact for Heaven without skipping a beat, or would it completely implode? 4) Sabbath and Prayer – There are seasons when we simply must rest. Jesus modeled this with his disciples saying, “Let’s go off by ourselves to a quiet place and rest awhile.” (Mark 6:31) This applies to us as individuals as well as to the Church. Might I suggest that it is O.K. occasionally for the Church to shut down ministry for a week of prayer? Our church does this three times a year. During a week of prayer we strongly encourage (all but mandate) all Bible studies, groups, student ministries, and outreach events to cease. We then ask the congregation to join us in prayer and worship each night at the Church. 5) Keep everything in the light – In other words, do not lead the Church via top secret Board meetings and ‘off record’ one-on-one talks with people who have personal agendas. Likewise, avoid ignoring problems of gossip, infidelity, and other compromises of the faith within the Church. Address these issues head on and with everyone involved once you become aware. When evil is brought into light it cannot thrive away from darkness (Eph. 5:13-14). Healthy Churches make greater impact for the Kingdom of God. Is there anything you would add to this list? What are some examples of solid Church health that you have seen? Comments are welcome below, or you can leave me a voice message HERE. God bless. * Credit: The majority of these principles come directly from our Operational Values at Christ Community Church, compiled by Rev. Keith Cowart.